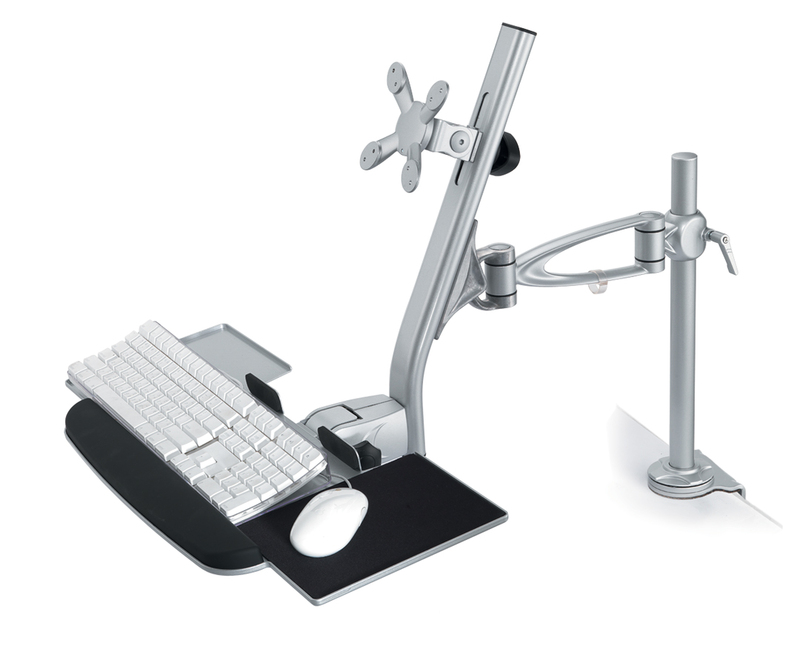 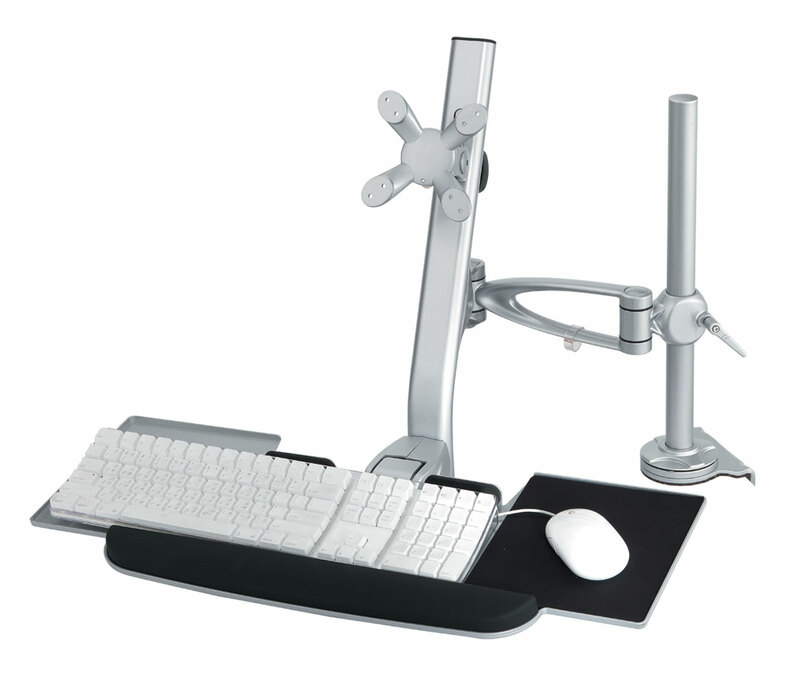 Easily adjustable work station for the best possible ergonomic comfort. Easy to install on tabletop. 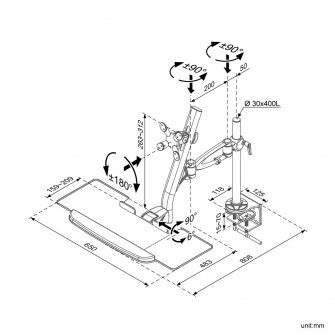 VESA standard 75 x 75 mm/100 x 100 mm.